A Chicago-based chain of “heavy metal-inspired” burger joints is making its way to RiNo. 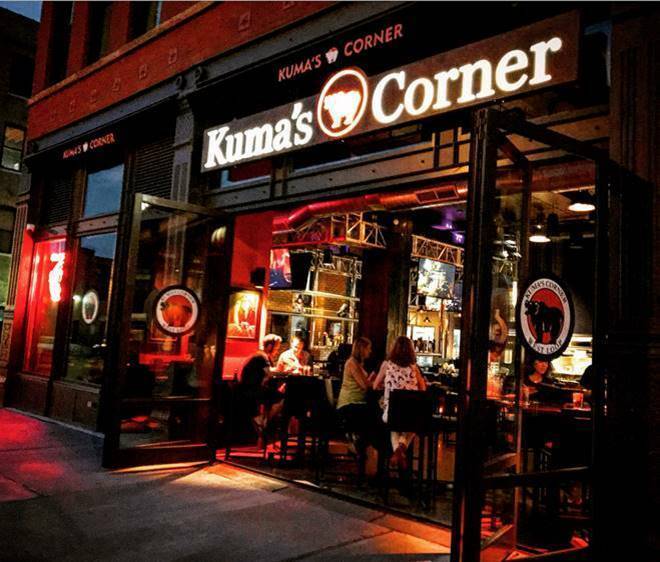 Kuma’s Corner, which operates four restaurants in Illinois and one in Indiana, plans to open a location behind the Catalyst HTI office building in December, according to the building’s developers. Catalyst is located at 3513 Brighton Blvd. Kuma’s Corner will be taking 4,000 square feet of retail space on the ground floor of the parking garage behind it, at 35th and Delgany streets. Across the street is Great Divide Brewing Co.’s Barrel Bar and Mockery Brewing’s tasting room. The chain began in Chicago’s Avondale neighborhood in 2005. Its menu items are named after famous heavy metal bands, offering burgers with names such as the Led Zeppelin, Black Sabbath, Iron Maiden and Metallica, according to its website. Kuma’s Corner also offers a rotating draft beer list and craft cocktail program curated by Alexi Front, founder of the metal music festival Scorched Tundra. Catalyst HTI was developed by Koelbel and Company, in partnership with L&M Capital Investment. 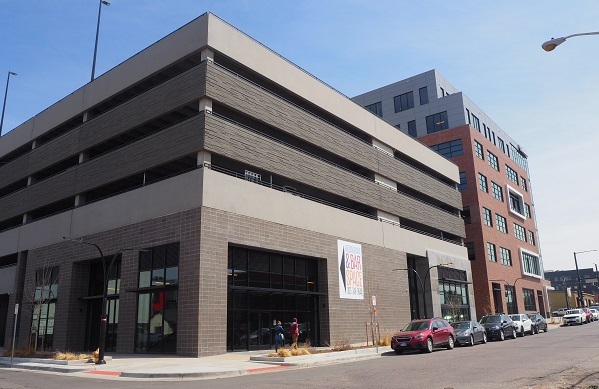 Logan House Coffee is slated to open its third Denver location in the building next month. The developers said future plans for the city block they own include a new event center, a Kaiser Innovation Center and a second office project phase at 3550 Brighton Blvd. A lot is happening — or proposed — for this section of RiNo. Nearby, a six-story Vib Hotel is expected to open at 3560 Brighton Blvd. and the five-story Rev360 office project is slated to break ground in the second quarter at 3600 Brighton. A Colorado-themed booze and food hall is planned in the 3500 block of Chestnut Place, along with a 12-story condo project. And BusinessDen reported this week that a developer has bought property in the 3600 block of Delgany Street for a 12-story office project. Another Chicago-based restaurant group has taken interest in another part of RiNo. Four Corners, which owns and operates 15 restaurants in the Windy City, opted to buy instead of rent, dropping $3 million for the corner lot at 2903 Larimer St. earlier this year.